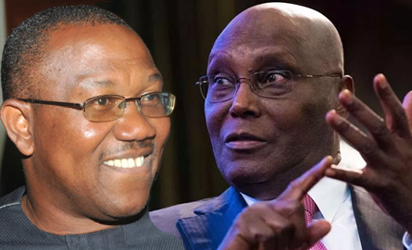 The Presidential and vice presidential candidates of the Peoples Democratic Party, PDP, Atiku Abubakar and Peter Obi are currently being interviewed on how their duo plans to move Nigeria forward if elected, come this February. Meanwhile, recall that President Muhammadu Buhari, while on a TV live town hall programme tagged ‘The Candidates,’ jointly organized by Nigerian Television Authority and Daria Media, had given reasons why he sought re-election as president of Nigeria. President Buhari who had appeared on the programme with his vice, Yemi Osinbajo had said that he was seeking re-election to ensure that the progress his administration had made in moving the country forward is sustained.